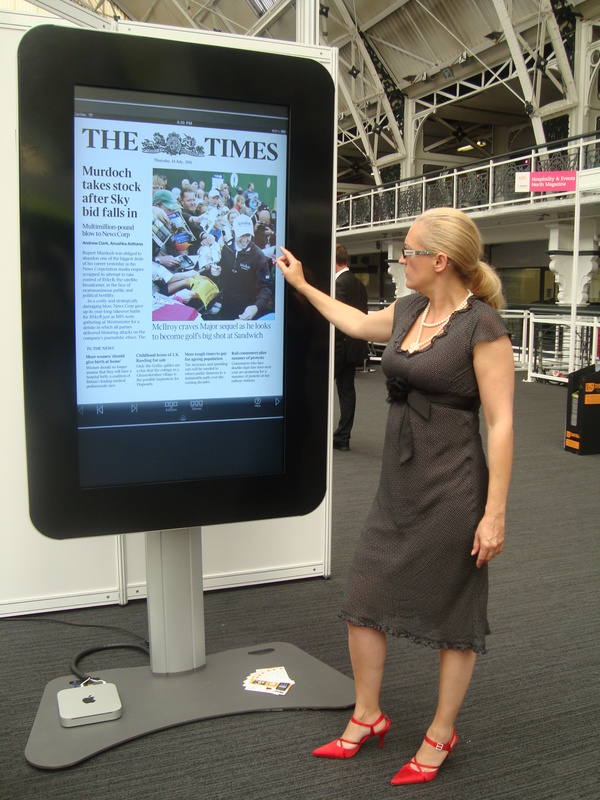 2011 has been described as ‘the year of the tablet’ with numerous manufacturers entering the market. The latest entries come from Sony; one device has a 9.5inch screen and the other is a clam-shell design with two 5 inch screens. 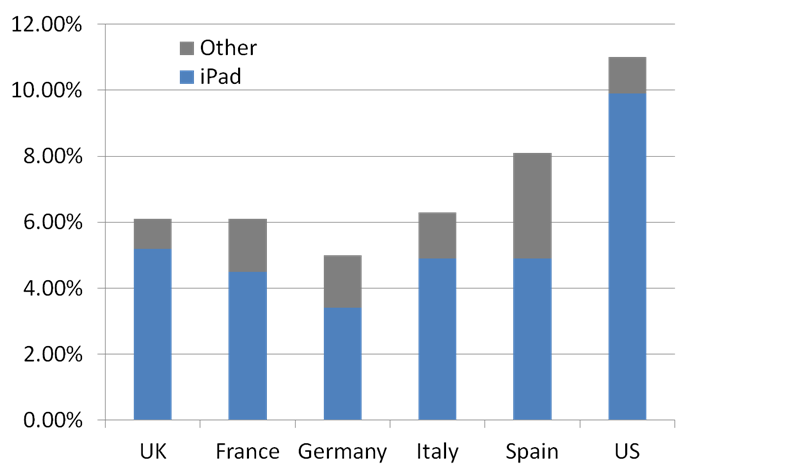 However, when it comes to tablet sales, Apple’s iPad still rules . When it comes to publishing, we were told that the iPad would change publishing for ever. So is that change happening? 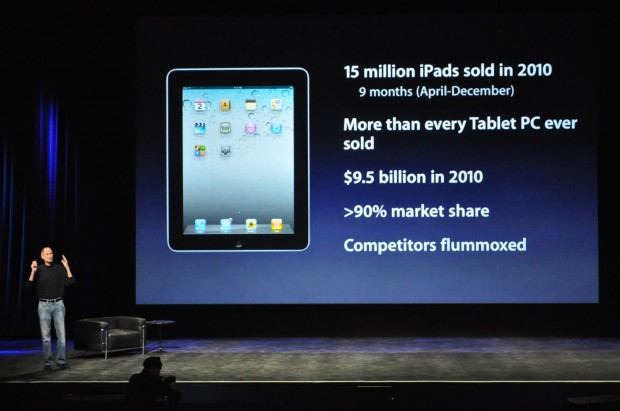 According to Apple, in March 2011 they had sold 15 million iPads in 9 months. Not bad at all. But compare that to the iPhone, which has sold around 100 million units in three years. 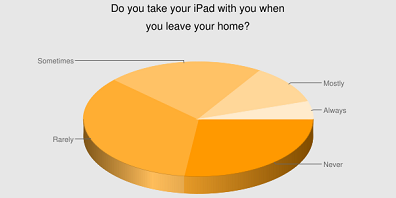 Portability: do you take your iPad when you go out? It is clear that many iPad users like reading magazines on their devices. The YouGov survey found that 51% of people prefer to read then on their iPad. 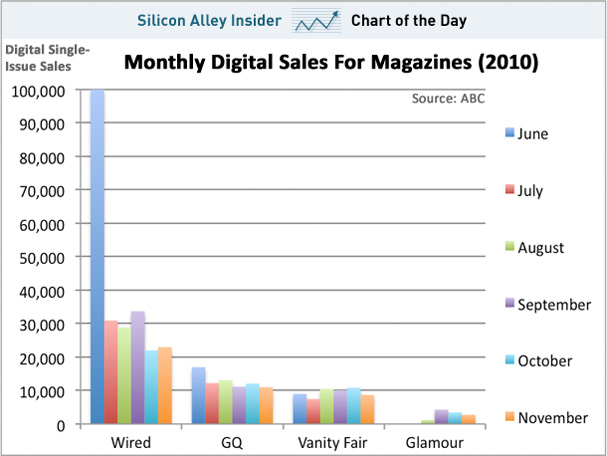 However, this does not necessarily mean that magazines have found a new digital format. 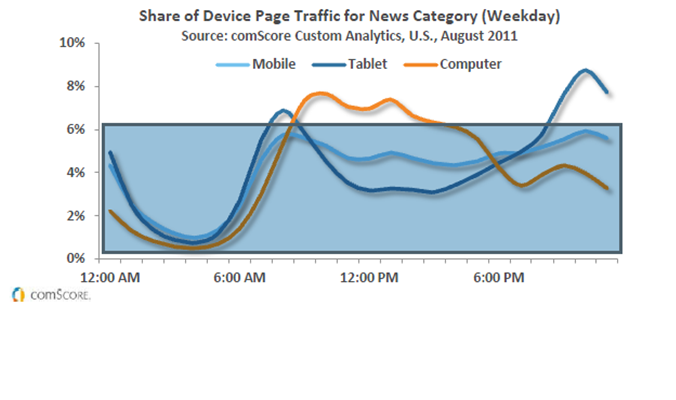 It is likely that many people buying iPads did so in order to read publications. And of course, whilst most of the population read print magazines, only a small number of people own an iPad. In the meantime publishers have been investing heavily in tablet versions of their magazines. “I would expect 70% of our sales to come from print and 30%, or even 40%, to come from products such as the iPad”. These figures represent between 1% and 7% of their print circulation, some way off the 30-40% that Conde Naste were hoping for. 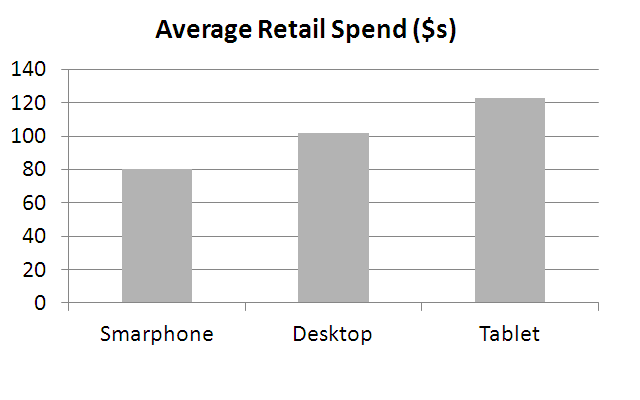 So, it would appear that rather than seeing tablet-based sales increasing steadily, the reverse is happening. They are falling and appear to be something of a niche product. There has been no study published into why people are not reading iPad magazines, but you only have to read some of the discussions on sites like Quora, to find that the general view is that the subscription model is not attractive enough. In spite of some preference amongst iPad owners to read on their device, on the whole people do not value digital magazines in the same way they value print ones. This is a similar problem that Rupert Murdoch is finding; it’s not easy to monitise digital content through pay walls and subscriptions. What is the Future for the iPad and Tablet Devices? Apple has a history of creating and defining markets, so it would seem that their aim to change publishing for ever is quite achievable. 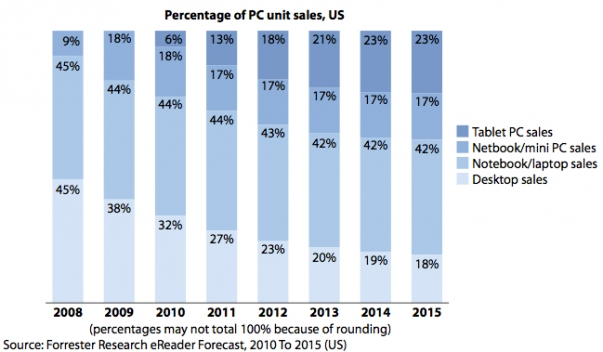 What’s more, the investment by almost every PC and phone manufacturer to create their own tablet suggests that there is a large market. However, I think that could be optimistic. Whilst everyone wants or has a phone, not everyone wants a tablet. Far from it. Those that do own those devices are not necessarily interested in reading magazines and books on it. And of those that want a magazine, even fewer are prepared to pay for a subscription. In the end the market is really not very big. However, the underlying problem for tablets is simply this: it’s a temporary technology. A stop-gap. True, ultimately all technology is temporary, but it would be safe to say we will always have some kind of device akin to our mobile phone. The same cannot be said about the tablet. It largely exists to fill the gap whilst phone technology catches up. There are many past examples of temporary technology. Take the PDA for example. Who carries a separate electronic diary, address book, note-pad with them any more? That function has been subsumed into the smartphone. With better input such as gesture and voice control, navigating the small mobile screen will become much easier. Surely the phone screen is too small to replace a tablet device, I hear you ask? True, but in the future mobile screens will be expandable. You just pull it out to make it bigger. Sounds impossible? Well Sony have already developed a screen that can be rolled around a pencil and pulled out when you need it bigger. The military also have similar devices. Perhaps the best vision of the future of mobiles comes from this video: http://www.youtube.com/watch?v=g7_mOdi3O5E. A YouGov study in the UK found that 21% of men and 12% of women read their iPad on the toilet. Those with iPads use their computers 39% of the time less than before.